Winner of the 2019, 2018 and 2017 Best of Houzz Award!!! 3RD Place Winner 2016 Homearama for Best Interior Designer!!! WINNER OF THE 2016 BEST OF HOUZZ AWARD!!!!!!!!!!! ALSO AWARDED THE 2016 HOUZZ INFLUENCER AWARD! In addition, we have been awarded by Expertise.com and one of the top local design firms for 2017, 2018 and 2019 . Steinbock Interiors is a multi award winning design firm that started fourteen years ago to provide clients with a full service, one-stop shop interior design resource, specializing in high quality design at affordable pricing. We work for a variety of builders, remodelers and individual clients. We have over 20 years of experience. We always tailor our designs to meet the specific needs and wants of our clients. Residential and Commercial Interior Designer servicing the Louisville, KY and Southern Indiana area. Using my knowledge of design and professional resources, I help clients transform their space into a classic reflection of their personal style. I also offer Home Staging services and guide home owners through the process with a comprehensive room by room plan of action. I can provide furniture rental proposals for staging vacant spaces. At Robin's Nest Interiors, we believe that your home should reflect who you are, how you live and be filled with beautiful things you love. Robin’s Nest Interiors is a boutique home store that offers updated, traditional decor including artwork, lighting and small accent furnishings. 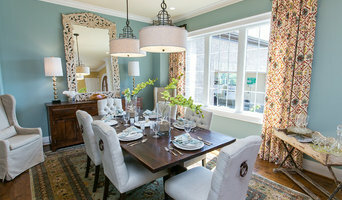 Each piece is hand-picked by owner and interior designer Robin Cole. The store is reflective of her organic and classic design style. Each visit provides a relaxing shopping experience that will definitely inspire! Comprehensive interior design services are available, from consultations to custom window treatments to home renovations. No project is too big or too small for Robin’s Nest Interiors! As part of our interior design service, we creatively interpret your lifestyle and ideas, then plan and manage the installation to suit your needs. Our goal is functional, pleasing interiors that incorporate your treasures into the design. We are a small residential interior design firm based in Louisville, Kentucky. Our focus is on kitchens, bathrooms, furniture design and space planning for the home. Our belief is that good design should not only be stunningly beautiful, but must also function for you and the way you live in your home. Our goal is to design a space that reflects who you are and to make it flow in such a way that makes your life better. We design for all lifestyles and budgets. Centered is comprised of two sisters, Mary Culbertson and Susan Haggblom, that have now joined forces to bring you a wealth of creative solutions for the design of your home. We bring to the table a level of creativity that has stemmed from years of artistic backgrounds ranging from fine art photography to Montessori early educational methods. Susan and I grew up with a mother who was constantly looking at the home as an art project. Our father worked for the airlines and, in turn, we had the pleasure of traveling quite a bit. As a family, we were incredibly fortunate to see many parts of the world and have experienced many different cultures. We have gleaned so much from both of these inspirational aspects of our lives and have turned this inspiration into creative design for your home. VOTED BEST INTERIOR DESIGNERS 2013 & 2014, and 2017 HOMEARAMA! I have held interior design positions with national homebuilders, and have experience in single family, condominium, and commercial/mixed use developments. My most recent projects have been for Poe Companies, and was involved with projects such as: Museum Plaza, 21C Austin, Teravista, and RiverPark Place. My personal condo was selected to appear on the cover of Louisville’s Home and Design Magazine in 2007. I was also interviewed by Louisville's Courier Journal for their Home and Garden section, which capitalized on my expertise in modern design. Versatility is a hallmark of my design work. With experience ranging from traditional to contemporary, my passion for design gives my clients a rewarding experience. Svetlana collaborates with architects, developers and homeowners, in planning the design process. She works with the client to determine their vision, personality and budget. She then formulates a design plan taking into account the client’s concept, using innovative and eco-friendly designs. Give Svetlana a call to schedule a FREE consultation today! We are a Residential and Commercial full service Certified Interior Design firm with 30+ years of experience. We are dedicated to providing our clients with an enjoyable and stress free design experience. We work out of our in-home showroom for your convenience. We are experts in the luxury home market in the Louisville, Ky. area, particularly Prospect, St. Matthews and Anchorage, and have extensive experience in design of new homes. We have worked closely with new home builders on model homes as well as custom residences for individual clients. Having a professional interior designer guide you through a home building or remodeling project will save the client time, energy and usually money by eliminating costly errors. We are window treatment specialists, and offer design of fabric treatments as well as fabrication and installation services. We have a tremendous selection of designer fabrics for drapery, bedding, and upholstery. We also carry quality brands of window blinds, shades, and custom shutters. We offer consultations for furniture arrangement, paint selection, lighting and accessories. We also offer consultation for paint selection, furniture placement and procurement, lighting and window treatments. Full service interior design for residential and commercial. Design makeovers for every room in the home and some outdoor spaces! Complimentary consultations. Custom window treatments, upholstered and case good furniture, floor covering, wall covering, lighting, accessories, kitchen cabinetry, bathroom remodels. Silver Hammer Remodeling is a family-owned business with over 18 years of experience. 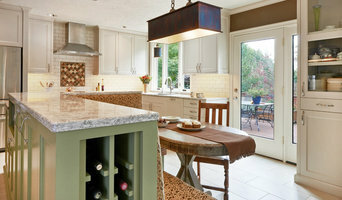 We offer interior remodeling services specializing in kitchens, bathrooms, built-ins & finish carpentry. Our craftsmen can add style, beauty & organization to the interior of your home. We have a highly skilled team ready to help you create a comfortable and inviting place to call your own! The quality workmanship we bring to all types of projects is the foundation of our reputation. We are dedicated to provide you with excellent customer service and craftsmanship and our remarkable level of personal service and attention to detail brings our clients back time and time again. Meet Lisa Knight, owner of Lisa Lynn Designs Home Store & Design Studio, a leading interior design firm in the Louisville, Kentucky area. Lisa has designed hundreds of homes for individual clients, businesses, and high profile builders in the Louisville and Southern Indiana area. Lisa has an enthusiastic approach to design. She offers consulting on plan designs, space planning ,exterior and interior architectural design, lighting, flooring, cabinetry, color schemes, custom window treatments, floral and more. 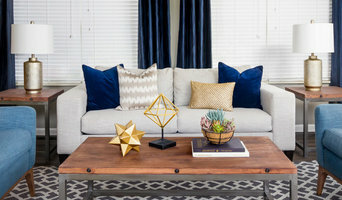 She also works with clients in remodeling, re-decorating and accessorizing existing homes with an inexhaustible resource base for textiles, furnishings and accessories. Her showroom and store front are open to the public as well as her clients and you will always feel welcomed whether it is your first time in or your 40th . Lisa has an amazing staff of hardworking, dedicated designers always ready to assist you in anyway possible. 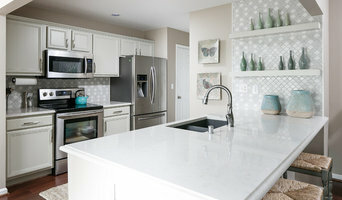 Winner of the 2019 Best of Houzz Award! Nan also received the Ethan Allen National circle of Excellence Award including the Diamond Spirit Award and The Ethan Allen Rising Star Award. Nan is a graduate of California State University with a B.F.A in Interior Architectural Design. She has a broad range of experience in both commercial and residential design work from Los Angeles, New Jersey, NY and Atlanta. She has successfully managed high profile clients and projects from design development to project management including designing custom bedding ensembles, custom window coverings, and bespoke furniture. Nan is passionate and enthusiastic about design. Her philosophy is to always keep the process of design pleasurable and engaging. Her priority is to reflect the taste, needs and individual styles of her clients in her design. As an interior designer I am here to ease the stress and aggravation that often is associated with a design project. Whether you are building a new home, rehabbing an existing home, or you just need a designer's advice, I am here to help. I act as the project manager to make sure that your project is done in as timely of a manner as possible. I handle all of the details both big and small to ensure that you are 100% completely satisfied with the finished result. I have several options available for payment and packages. Everything from the DIY'er to complete interior design. I would love to help you! Fine furniture, lamps, mirrors,and tabletop accessories; Nationally renown Christmas Show October 1st- Dec. 31st annually. Cherry House offers a wide selection of home furnishings at discount prices. Each customer that walks through our door receives the service that directly meets their needs. You will get the benefit of individual assistance from our highly trained, knowledgeable design team. You will never feel pressured to make a purchase that doesn't meet your needs. Be confident that you can purchase as little, or as much as you like, within your budget and time frame. We have been creating beautiful interiors since 1994. As a boutique interior design firm, our trademark is personal, unique designs with customized details that make your home or office stand out! We specialize in custom homes and renovation, kitchen and bath design, room makeovers and senior living. What are the benefits of working with custom furniture makers in Crestwood, KY? Whether you’re looking for a custom couch or a new set of custom chairs, it can be difficult trying to find something that matches the rest of your decor and that fits into your space. But when you’re using the furniture in your home almost every day, it’s important that it works and brings you joy. Outfitting your home with custom made furniture ensures that your interior spaces work with your lifestyle and tastes. You’ll be able to specify just how big or small you want a piece to be so that it fits right into your home. You’ll also be able to match wood finishes to the rest of your furniture and pick out upholstery colors or patterns that reflect your style. 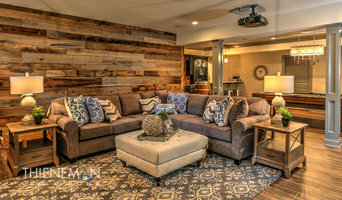 While working with local Crestwood, KY furniture makers might seem like a big project, you’re likely to end up with a high-quality piece perfectly suited to your lifestyle and meant to last for years to come. How can a pro help you design your own furniture? Even if you like the sound of having furniture made specifically for your home, you may be wondering how to even begin. First, you should take some measurements of your space and the other furniture you have. Consider the colors and style of the room and how a new piece might fit in. Many custom home furniture companies in Crestwood, KY will be able to give you a choice of different configurations and designs that you can choose from. They may also have pieces that are already made, so you might take some inspiration from those designs. Whether you’re looking for custom wood furniture for your dining room or a custom sofa for the living room, Crestwood, KY furniture makers near you will be able to take your ideas and make something lasting out of them.